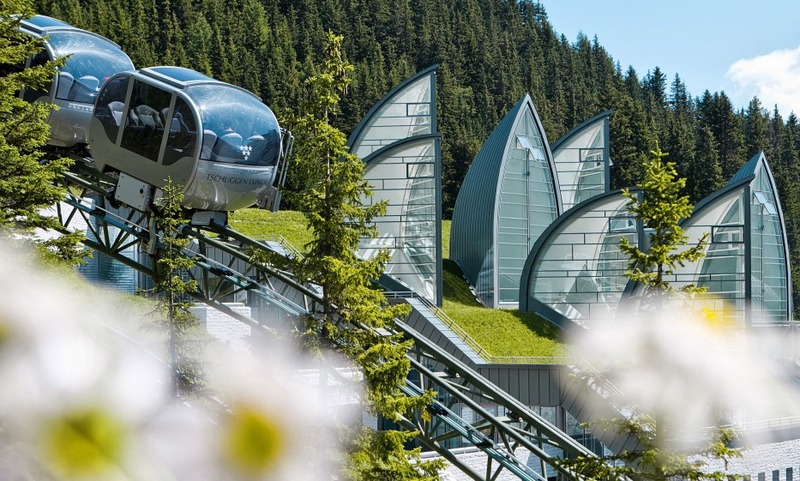 Tucked away on the slopes of the Swiss Alps, and with an unpretentious and relaxed atmosphere, the Tschuggen Grand Hotel offers an exceptional alpine resort experience to its guests. Home to an incredible 5000-sq.m spa carved into the mountainside and a private mountain railway to ferry guests to the region’s best skiing and hiking spots, the Tschuggen Grand Hotel is the retreat of choice for your next mountain getaway. Unique Tschuggen Bergoase Spa with a size of 5000 sqm, stunning design and facilities. Use of the Hotel's own mountain railway : Tschuggen Express. Impeccable service and a quite remarkable spa characterize this superb hotel. One regret: the look of the hotel’s exterior and the surrounding buildings (architecture from the 60s).